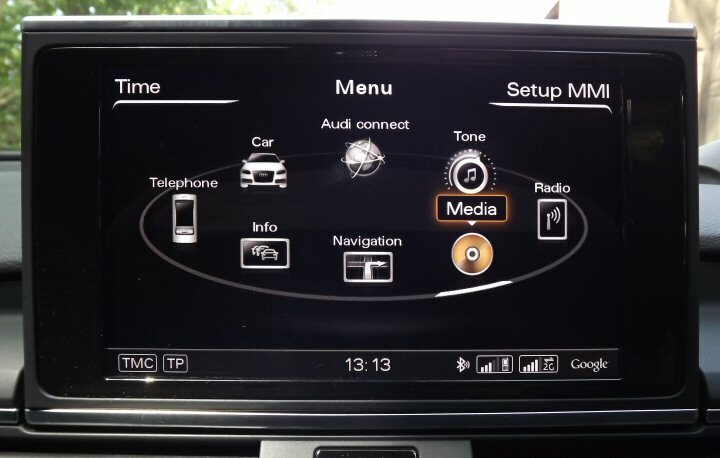 Product Description: This is for the supply and fitment of the very latest MMi 3G Plus system to your Audi. This upgrade uses the very latest equipment available and brings your vehicle up to date with the latest specification and technology. This upgrade is highly recommended for users that require the very best out of their vehicle. 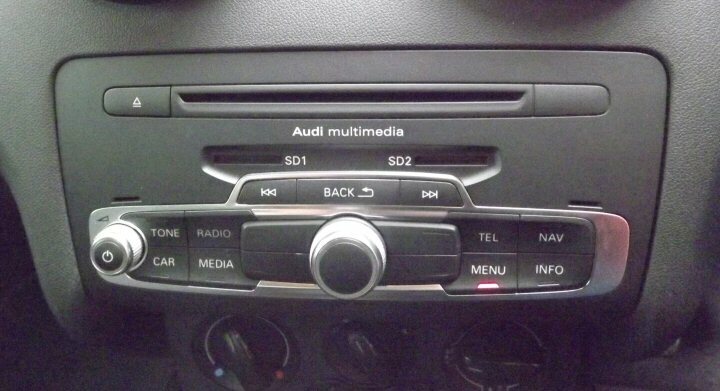 - High Definition Navigation System with DVD Player and 2 SD Card Slots for Mp3 as standard. - 2018 Navigation Maps for Western Europe. - Latest Firmware included to allow Sim card and Mobile connection at the same time. - 7 digit Postcode Search for UK and Europe. - Bluetooth Telephone with latest software to allow usage with all new phones. - Bluetooth Audio Streaming. (supported devices only). - Wifi Audio Streaming (supported devices only). - iPod & USB Video via AMi Connection. - Perfect video playback via AMi & control via the MMi and MFSW. (iPhone, iTouch, iPad required for video playback). - AMi also supports video playback via USB or HDD. - SD Card slots also support video playback. (32GB per card). - iPod Album art supported. 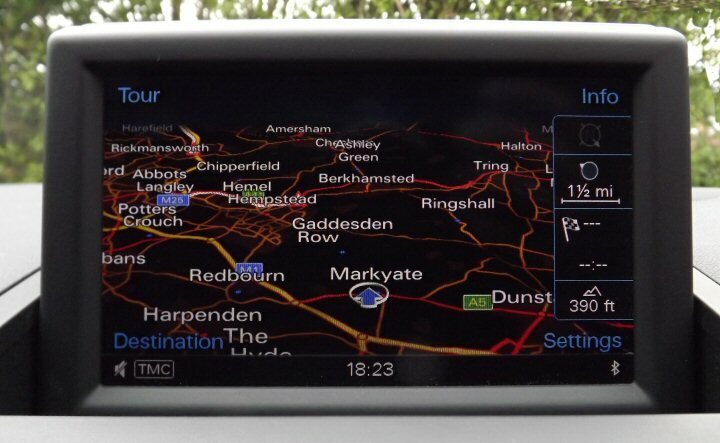 - Voice Control over Sat Nav, Phone, Media and Radio. (Requires Multifunction Steering Wheel). - DVD Playback via main unit. - Video in Motion included. (for passenger use only). - Vehicle Setup via MMi Control. - 8" high resolution screen for A6 4G and A7 4G, The screen remains the same size on the A1 8X and Q3 8U however it is far better resolution. This is required for Google maps and online services. please email us for a tailored quotation. All other MMI functions are the same but you will not have a SIM slot for online connection. to register a model without this option factory installed. Online traffic data is no longer available on retrofitted systems. The prices illustrated below are for guide purposes only. We reserve the right to withdraw the order if a price increase on components is beyond our control. We will always confirm the correct price prior to installation. 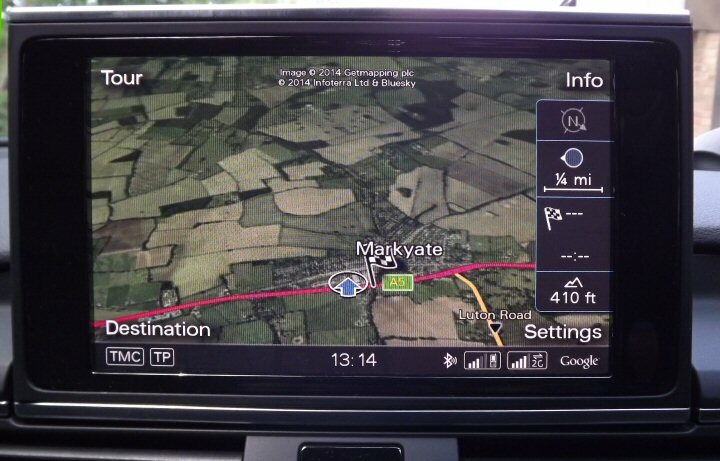 We are pleased to offer the latest MMi 3G Plus HD Navigation upgrade for all the models listed below. - AMi Kit with iPod Video Cable and USB video cable. - Reverse Camera with active guide lines. - Digital Hybrid Tv Tuner. Option Notes: Please select current sound system installed as this will affect the price of the installation. If your vehicle is fitted with DAB, please specify this as the price will be affected. options will operate exactly the same and will not affect the price of this installation. Above: Google Earth Display for Maps. (requires SIM version upgrade). Above: MMI 3G Plus Telephone Menu. Above: Optional Touch Pad - A6 4G and A7 4G Only. Above: MMi Display for A1 8X and Q3 8U. Add MMI 3G Reverse Camera? I already have the RMC reverse camera fitted. 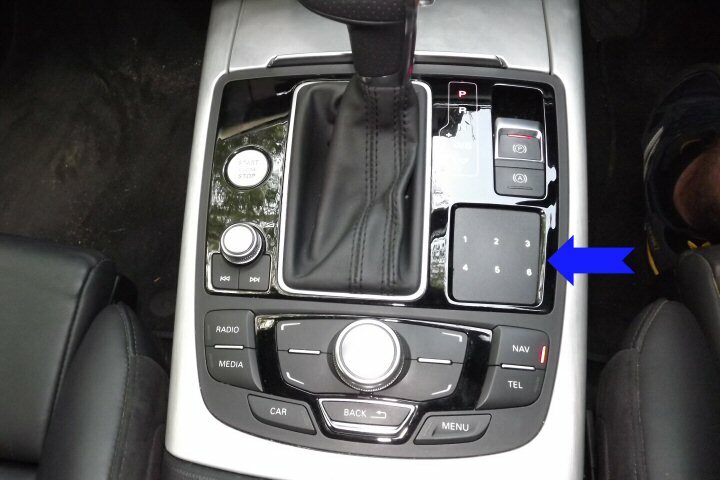 I would like to add MMi 3G reverse camera to order (+£650.00) No thanks, I don't require this option. Does the vehicle have DAB? I don't, but I would like to add DAB to my order. No I don't currently have DAB fitted. Yes I currently have DAB fitted.